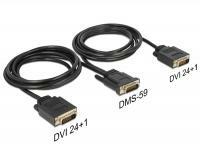 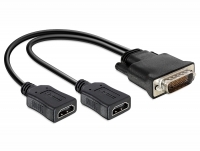 This adapter by Delock allows you to connect up to two monitors to a graphics card with DMS-59 port, with the help of optional DVI and VGA cables. 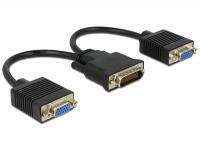 The monitors can display two different views, or the displayed image can be duplicated or extended, provided that the graphics card supports it. 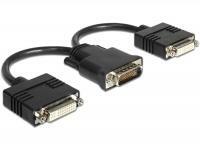 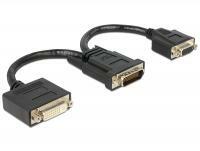 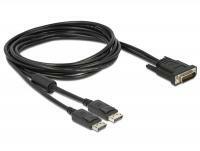 This cable by Delock allows you to connect up to two monitors to a graphics card with DMS-59 port. 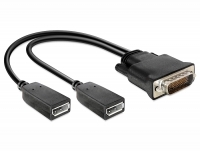 The monitors can display two different views, or the displayed image can be duplicated or extended, provided that the graphics card supports it.